Police: Man shoved teen who waved Confederate flag at game in Va.
Thomas Ozoroski, 53, walked over and pushed the student. That led to more pushing and shoving with other kids. UPDATE (Oct. 7:30 p.m.): This story has been updated with a new image. 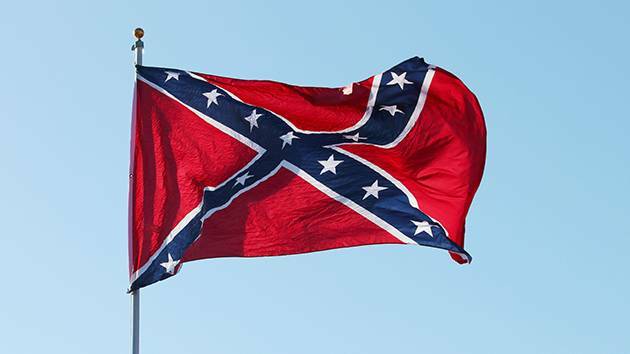 YORKTOWN, Va. (AP) — Police in Virginia say a man assaulted a teenager who had been waving a Confederate flag at a high school football game. The Daily Press reported Saturday that the 53-year-old white man was arrested on charges of assault and battery on Friday in Yorktown. The game between the high schools of Tabb and Poquoson was played about an hour south of Richmond, which had been the capital of the Confederacy. Police said a Poquoson student who was approximately 15 years old was waving the confederate flag. York-Poquoson Sheriff J.D. “Danny” Diggs said Thomas Ozoroski walked over and pushed the student. That led to more pushing and shoving with other kids. Diggs said it was an isolated incident that quickly ended. No students were kicked out of the game.